He has left us guessing. Alf looks forward to bumping into one Mahesh Bindra some time soon. This fellow is described in the NZ Herald today as the lowest-ranked NZ First MP. More fascinating, however, he is reported to be refusing to say what job he did before politics. Alf suspects this may be a consequence of Mahesh Bindra being a shy fellow who is especially bashful that he has been doing something menial, like being the bloke who empties the rubbish bins in some Government department. This might explain why his leader, Winston Peters, is also refusing to say what his 11th-ranked MP does for a living. But Peters did tell us what Bindra does not do. “I can tell you, he’s not a spy,” said Mr Peters this morning. According to the Herald, Bindra is currently employed in the public service. But he will not say which department he works for. He also said the special votes might mean he doesn’t become an MP. So he is being coy until he know for sure he is a fully fledged NZ First MP. We get some clues from the Herald report about his job (and about his lack of allure as an electorate candidate). Mr Bindra, who won 607 votes as a candidate in the Mt Roskill seat, said he was in the “law and order” field. His role as chairman of the Corrections Association of NZ would suggest he is a prison officer – but he won’t say. The pity is that the hacks at the Herald didn’t try to get more background information about Bindra and his qualifications before the election. The tossers are apt to be much too lax about list candidates until it is too late and suddenly they have found we have a seriously unqualified MP on our hands. While Bindra is wary about regarding himself as an MP yet – not until all the votes have been counted – Wikipedia is ready to anoint him now. 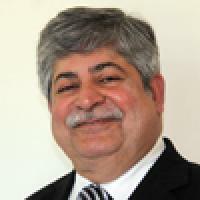 Mahesh Bindra is a New Zealand politician who was elected as an MP from the New Zealand First list at the 2014 general election. He was not forthcoming about his job in an interview with the Indian Weekender in August. Tell us something about your family and your profession. Where are you from, who are there in your family, what made you come into politics? I have a son and twin daughters. My son lives in Hong Kong. One of my daughters lives in Paris and the other one lives in Auckland. They have all done well in their respective professions and given me reasons to be proud of them. I was born and raised in Mumbai, went to Mumbai University and got a degree in Political Science and Psychology. While doing so I also trained for a commission in the Indian Army, with the National Cadet Corps. I come from a politically active family. My father was a senior functionary of Jana Sangh, which later formed today’s Bhartiya Janata Party (BJP). My association with the “Sangh Parivar” goes back to the days when I became a “Swayam Sevak” of Rashtriya Swayam- Sevak Sangh (RSS) at the age of 14. In 2006 I came in contact with the Rt. Hon Winston Peters and studied the policies and principles of New Zealand First. In those days there was a lot of mistrust and scepticism in the Indian community with regards to New Zealand First in general and Mr Peters in particular. I questioned Mr. Peters a few times in public meetings and always got straight-forward answers from him. I must admit I was deeply impressed by his passion for New Zealand and New Zealanders, his courage to say things as they are and his unmatched oratory skills. Sadly, we are not getting straight-forward answers from the new MP about how he earned his living before now. The NZ Party website reinforces the suspicion he might work in the prisons. Mahesh has extensive experience in Rehabilitation and Reintegration of offenders into the society and he firmly believes in sharp, short sentences as part of an enlightened Corrections policy. Oh, and he also happens to believe in One Law For All, which means: . Dunno if he has encountered some of our indigenous leaders, who will be keen to sort him out on that one and maybe ram a copy of The Treaty down his throat. He has to learn they are special and that any notions about One Law For All are articulated only by racists and/or politicians suffering from a serious form of dementia. The Treaty and something we signed at the United Nations makes them special, see. So they need their own law, their own flag, their own court system and what have you. Just ask the widow of James Takamore whose body was snatched by a bunch of Tuhoe whanau who won’t buckle to rulings from bodies as august as the Supreme Court that have ruled that Takamore’s partner, Denise Clarke, could decide where he should be buried. The latest ruling, from a Justice Fogerty, referred the case to the Solicitor-General’s office which has the authority to carry out a compulsory disinterment, access private land and issue restraining orders. And what’s going to happen next? Maori elder Sonny Tau said the ruling would be a huge challenge for both the judiciary and the country. Mr Tau expected Tuhoe to defy any ruling to exhume Mr Takamore’s body. Which means you don’t have to comply with the law if you are an indigenous person. What is Bindra going to do about that, as he pursued his law-and-order agenda? This entry was posted on Monday, September 22nd, 2014 at 6:26 pm and is filed under Politics. You can follow any responses to this entry through the RSS 2.0 feed. You can leave a response, or trackback from your own site.